Mark Tighe, of The Sunday Times, reported extensively on documents opened in the High Court pertaining to the Office of Director of Corporate Enforcement’s application to have High Court inspectors appointed to investigate Independent News and Media’s affairs. The documents largely focus on the claims made by INM’s former chief executive Robert Pitt, who joined INM from Tesco in October 2014. 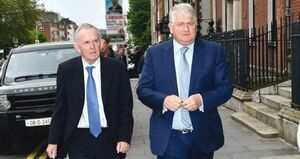 Mr Tighe reported that one of Mr Pitt’s claims is that, in 2016, Leslie Buckley – the then chairman of INM and a nominee of INM’s largest shareholder Denis O’Brien – relayed concerns to Mr Pitt that if INM made the then Group Editor of INM Stephen Rae redundant, as a means to cut costs, “he [Rae] would ‘retaliate’ by revealing editorial interference”. Specifically, Mr Tighe reported that Mr Pitt claims Mr Buckley conveyed to him that he feared Mr Rae would “make public interactions that they had where Leslie called on Stephen to have content removed from the papers”. Mr Buckley resigned from INM on March 1 of this year, while Mr Rae announced he was stepping down from his role on May 23 of this year. Their resignations followed reports of an alleged data breach at INM. Mr Tighe first reported on Christmas Eve last that the National Union of Journalists had expressed concerns over Mr Buckley arranging for Cardiff-based Trusted Data Solutions to be given access to INM’s servers in 2014. 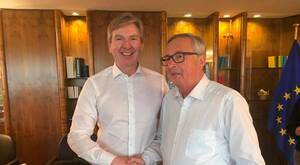 About two weeks later, it was announced that Mr Rae was appointed to the European Commission’s High Level Expert Group on Fake News. In April, Gavin Daly, also of The Sunday Times, reported that an Isle of Man company controlled by Denis O’Brien (Blaydon Limited) paid the bill for TDS to gain access to INM’s computer network. Mr Tighe also reported that Mr Pitt claims, prior to Mr Buckley allegedly relaying his fears about a retaliation on the part of Mr Rae if he was made redundant, there were discussions with the director general of RTÉ Dee Forbes about the “possibility of getting Stephen Rae a job” at RTÉ. Mr Pitt has reportedly claimed that, before Mr Pitt started at INM, Mr Buckley was “very clear” that “Stephen had helped him control the editorial tone and content of publications owned by INM”. 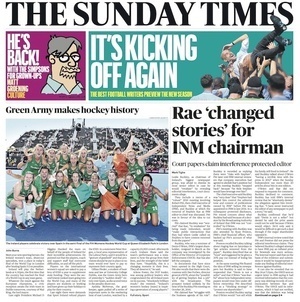 In addition, Ryan Preston, INM’s chief financial officer, claims Mr Buckley talked about ringing Mr Rae on Saturdays to “get articles removed from the paper”. “Preston recalled Buckley talking about ringing Rae on Saturdays to “get articles removed from the paper”. Buckley described Rae as “loyal” and suggested he be given a 30% pay cut instead of losing his position. “At the same meeting Pitt floated the idea of INM selling its newspapers but Buckley is said to have responded that “Denis is not a seller” and that O’Brien “was fearful” about how Independent newspapers would treat him under different ownership. Pitt described this as a “blocking strategy” to “protect one shareholder”. 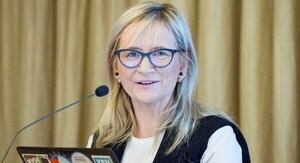 “It can also be revealed that on May 24 at 7.13pm, the ODCE sent an urgent letter to INM saying it had received information that the company was deleting records of communication between Rae and O’Brien. The ODCE said its information, which it had not verified, was that the deletion was being done on the “pretext of compliance with GDPR”. 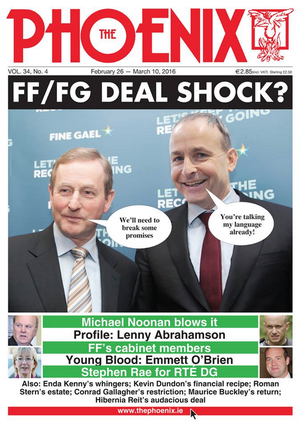 “The ODCE gave INM a deadline of 11pm to confirm that records of Rae, whose departure from INM had been announced the previous day, had not been destroyed. It was Ms O’Doherty’s evidence that she did not call to the house at 10pm and, instead, called earlier in the evening. Posted in Misc and tagged RTE, Stephen Rae at 3:50 pm on August 7, 2018 by Bodger. Did you see Clare Grady and Lise Hands tweet the night that Rae left INM. Also, it’s not The Simpsons. It’s a different show. It was a terrible interview. Ah yeah, editor who sells his soul to the Redacted agenda tries to swing job in RTE, another bastion of low editorial standards. Makes sense alright. Another one in the circle of stagecoaches. They’re short-staffed in the canteen. Can he scramble eggs? This is turning into a drama of absurd proportions. Whats even scarier is that they did all this in the full knowledge that generally, corporate enforcement is a defanged tiger in this country and a slap on the wrist is about the worst that can happen to you. Also, we are pretty much seeing an admission (if what is being report is in fact true of course) of an attempt to skew and distort the media in favour of one person, a major shareholder and if that doesn’t send alarm bells ringing, nothing will. It hasn’t, so where does that leave journalism in this country? Although looking at the independent even just this morning, it seems journalism has been replaced by dog whistle click bait. The only consolation is that everyone switches off once Brenny gets the mic.